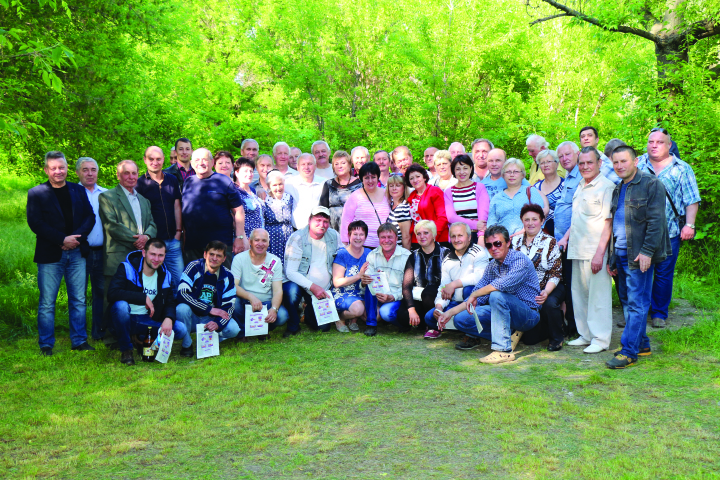 According to the decades-long tradition, at the end of May, workers and veterans of Press Forging Shop -1 celebrate the birthday of their shop. This year was not an exception. People who became common with the enterprise gathered in one of the picturesque corners of the nature that is not far from the plant. There were the Heads of the press forging shop of different years, foremen, forging operators and heat-treaters, all those who has being dedicated their professional life to the shop. Vladimir Panov, the Head of Press Forging Shop -1 welcomed all workmates gathered. There was a warm ambience created by joyful memories, “true-life” stories and, of course, pride in the common cause. And everything had been begun thirty-nine years ago. On May 31, 1978, a hydraulic press of 6,000 ton-force was commissioned at Kramatorsk Castings and Forgings Plant (the previous name of PJSC “Energomashspetsstal”). The history of the press forging shop -1 had begun from this moment. Anatoly Babaskin, the Head of the shop had got the shop’s certificate. “Motherland, get the first forging!” – This phrase, said at the meeting, filled the entire plant with the sense of pride. Commissioning of Press Forging Shop -1 allowed to solve one of Soviet Union strategic tasks: to ensure the growing demands of power, nuclear and heavy engineering with heavy forgings from ingots weighing up to 350 tons. In the USSR a lot of these forgings had been manufactured for the first time. New Press Forging Shop -1 should have become a flagship among the press forging shops of the country.